Experience Jyväskylä the capital of Alvar Aalto’s architecture combined with Seinäjoki where Aalto also left an indelible mark. Aalto Center in Seinäjoki, a significant example of modern functionalism. Jyväskylä, the Capital of Alvar Aalto’s architecture with the largest number of masterful buildings in the whole world designed by Aalto. Accommodation in Alvar Aalto’s building, the Säynätsalo Town hall. 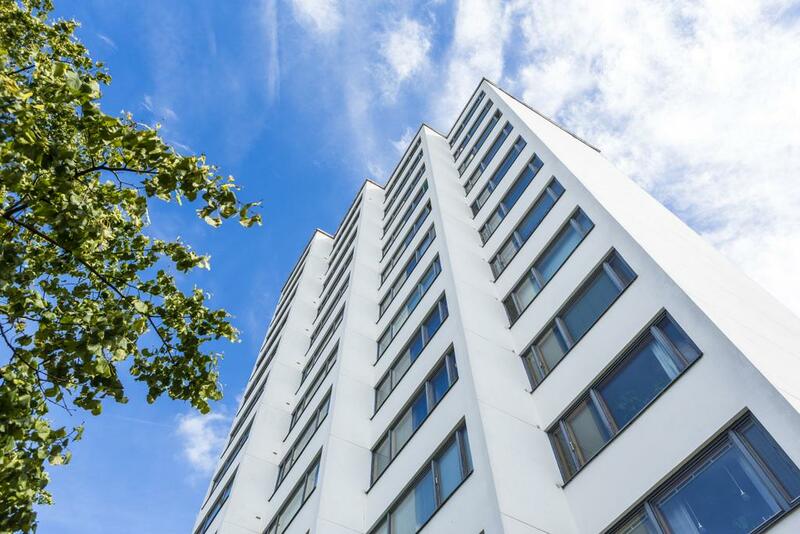 Jyväskylä, which is located in the heart of the Finnish Lakeland boasts more Alvar Aalto buildings from different periods than any other city in the world. Jyväskylä has earned its title as the Alvar Aalto capital of the world. Alvar Aalto has left an indelible mark on the city of Seinäjoki, situated amid the open landscapes of Ostrobothnia. The Aalto Centre in Seinäjoki is a globally significant building at the cutting edge of modern architecture. A visit to both cities will give an in-depth insight into Alvar Aalto’s architectural thinking through the decades, while also hearing exciting stories about Aalto not only as an architect but as a designer and a private person. During the tour, you will also see the beauty of the Lakeland of Central Finland and the vast open fields of Ostrobothnia and enjoy a glimpse of the traditional Finnish way of life in the two towns and the nearby countryside. Petäjävesi Old Church is a UNESCO World Heritage Site. Photo: Visit Jyväskylä, Aki Rantala. See a vast range of public buildings by Alvar Aalto - administrative centres, cultural buildings and the university campus. 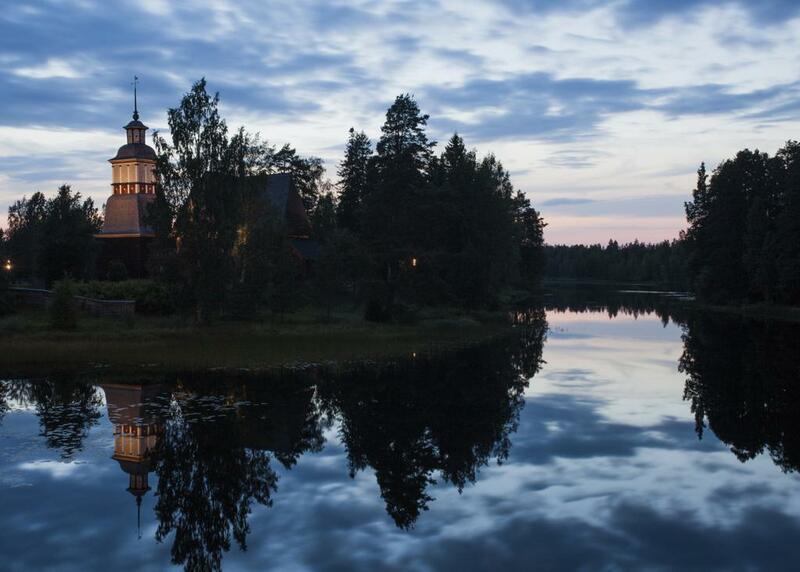 Experience the local spirit and enjoy the beautiful scenery in Ostrobothnian plains and the Lakeland. Viitatorni apartment block house by Alvar Aalto in Jyväskylä. Photo: Visit Jyväskylä, Tero Takalo-Eskola. Seinäjoki Town Hall and The Aalto Centre. Photo: Visit Seinäjoki, Katja Lösönen. The new library Apila is connected to the Aalto Library. Photo: Visit Seinäjoki, Katja Lösönen. 10.00 Arrival at Seinäjoki and check-in at Sokos Hotel Lakeus. 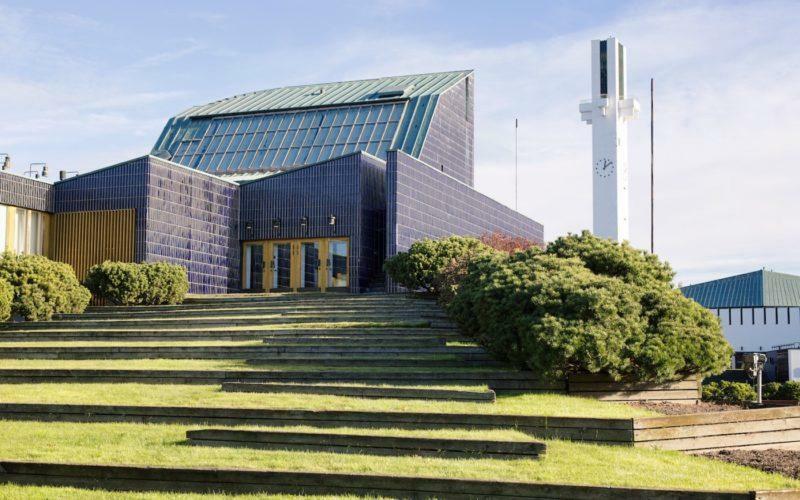 The hotel is centrally located next door to the Aalto Centre with the rooms overlooking the majestic tower of Lakeuden Risti Church. 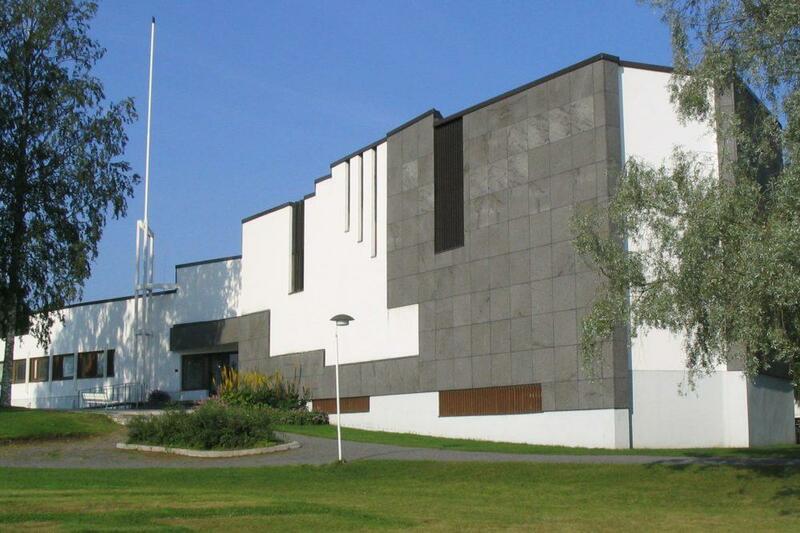 Alvar Aalto designed the administrative and cultural centre of the City of Seinäjoki. The Aalto Centre is comprised of six buildings: the Cross of the Plains Church, parish centre, Town hall, Aalto library, government administrative building and Seinäjoki Theatre. During the summer you can climb to the top of the 65-metre church tower and admire the sweeping views over the region. 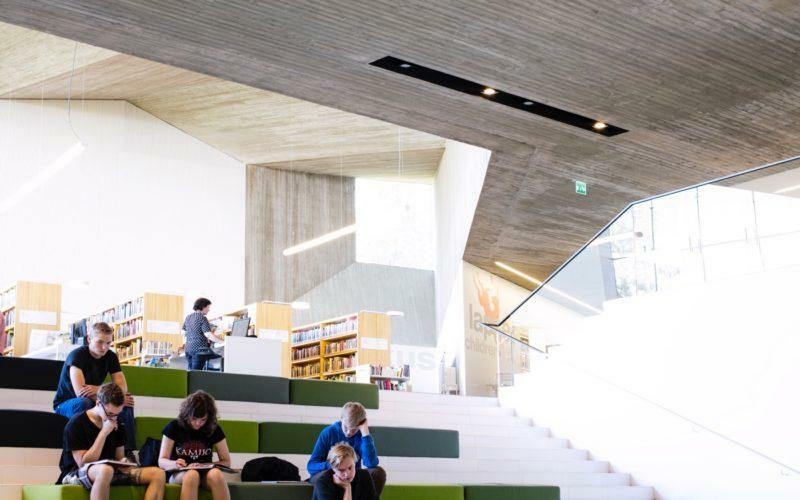 Another building worth a visit on your tour is the Apila library, which is connected to the Aalto Library by a subterranean corridor. Apila was designed by JKMM Architects, a leading contemporary Finnish architectural practice. 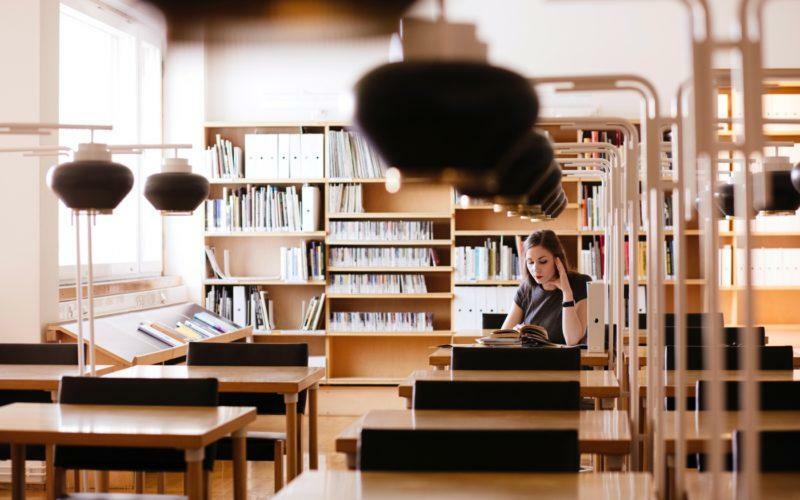 The Aalto Library has on display the world’s most extensive collection of Aalto glassware. Alma is one of the oldest buildings in Seinäjoki. The building served originally as a banquet hall for railway workers. Äärellä is a bright urban restaurant that serves a delicious lunch made from local ingredients in a relaxed atmosphere. The restaurant has views towards the Aalto Centre. The Defence Corps and Lotta Svärd Museum is dedicated to voluntary national defence. The museum building was designed by Aalto in the 1920s as a Defence Corps building. Stylistically it represents Nordic Classicism. 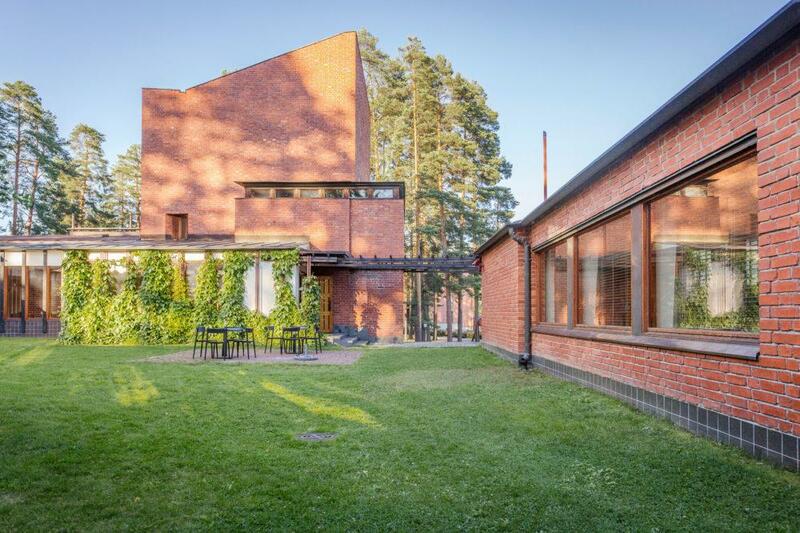 Today it is one of the rare building from Aalto’s early career that has retained well near its original appearance. It has been renovated since the 1980’ as close to original plans as possible. Amfora is the ceramics studio and gallery of the Seinäjoki-based designer and sculptor Päivi Rintaniemi. On display and for sale are tableware and home accessories designed by Rintaniemi and made locally in Seinäjoki. Open Thursdays 10–17 or by appointment. The selection at Rustoopuori is based on products made in Finland, with a focus on Ostrobothnian crafts. The products are modern, innovative and quirky – ideal for your home or as a gift.The shop is located in the historical Kaarakka house in the centre of Seinäjoki. Open Mon–Fri 10–18, Sat 10–14. Sauna is available at the hotel, with outdoor decking for cooling down overlooking the Aalto Centre. 09.00 Departure from Seinäjoki towards Jyväskylä. Seinäjoki–Alajärvi approx. 70 km / 60 min. Our route goes via Kuortane. In Kuortane, you will have the chance to view Alvar Aalto’s birthplace from the outside. The building is currently privately owned. There is an Alvar Aalto memorial relief in the garden. 10.30 Arrival in Alajärvi. Guided walking tour around the Aalto Centre in Alajärvi “From Alvar Aalto’s first design to the last project by Aalto’s office”. The Aalto Centre in Alajärvi is formed by Alvar Aalto’s classicist works in the town centre, including Alajärvi Youth Association Building, Aalto’s first constructed work; Villa Väinölä; and the former municipal hospital. 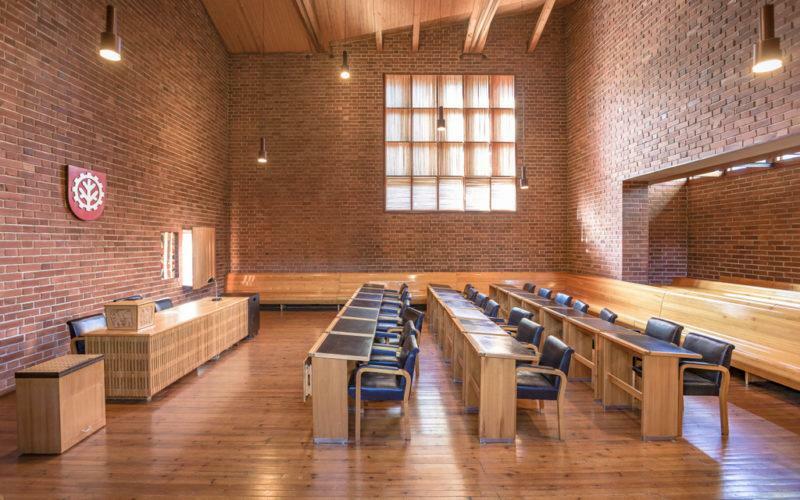 It also includes some of Aalto’s white-period works: the town hall, health centre, parish centre and the city library finalised by Aalto’s office. 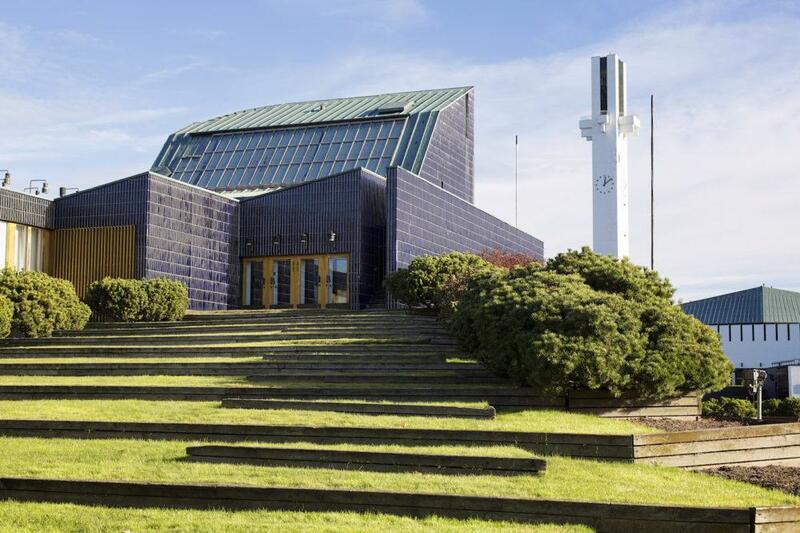 On the walking tour, we will have the chance to admire Alajärvi Church designed by C.L. Engel for this beautiful lakeside location. In this church, young Alvar Aalto had a favourite spot in the gallery where he used to sit. Be sure not to miss the beautiful Alajärvi cemetery and pay your respects at the Aalto family grave and the war memorials designed by Alvar Aalto. Aino and Alvar Aalto’s 1930s glass designs are on display as part of the For the Form exhibition in the lobby of the Alajärvi Town Hall. Enjoy the hospitality and delicious food at an authentic Ostrobothnian farm. The wines include the berry wine “Alvariini” and wines made of birch sap. The vineyard is located in the middle of idyllic countryside surrounded by tall ancient birch trees, some 5 km from the centre of Alajärvi. 13.00 Departure to the Jyväskylä region. Alajärvi–Petäjävesi approx. 125 km / 100 min. We will stop for a relaxing coffee break at the old stone barn at Lemettilä Farm in the midst of a beautiful Central Finnish rural landscape next door to Petäjävesi Old Church. 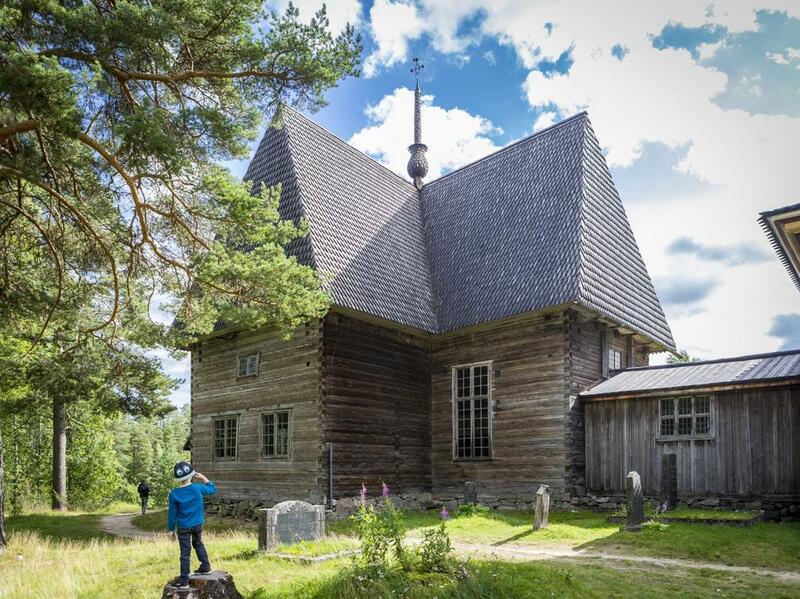 Petäjävesi Old Church was included in the list of UNESCO World Heritage Sites in 1994 and is described as a flagship work in Nordic wood architecture. 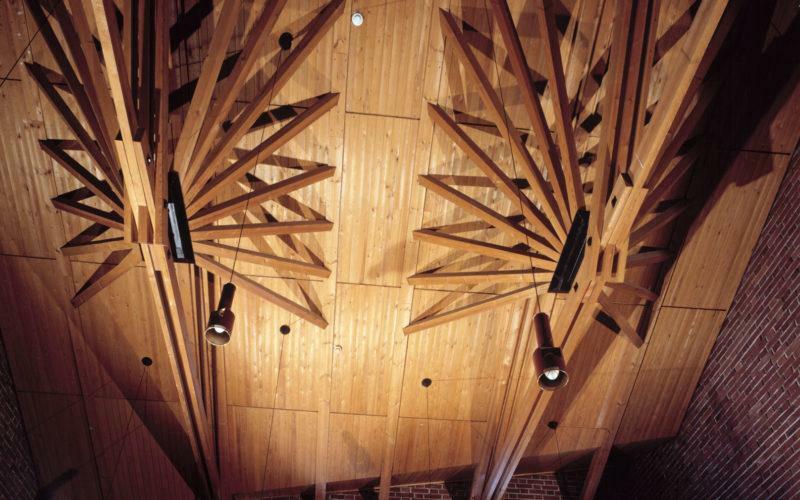 The church represents Lutheran Nordic church architecture and the long tradition of log building. Jyväskylä is a city that lives and breathes Alvar Aalto, while also offering visitors a wealth of nature experiences around the city. 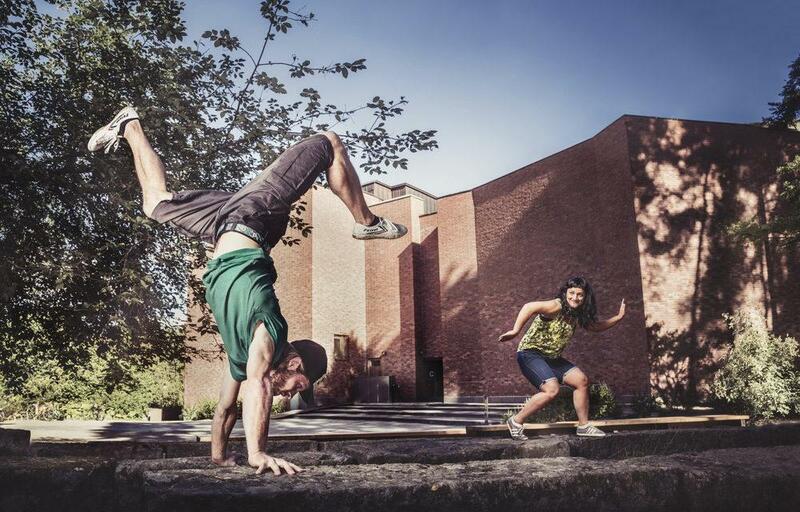 o The vibrant cultural scene challenges everyone to join and create lasting memories. Accommodation in Jyväskylä at Hotel Verso. Punaisen Tuvan Viinitila vineyard in Finnish. The late 19th century Toivola Old Courtyard is located at the heart of Jyväskylä. It is a vibrant artisan community with a cosy café, crafts boutiques, a museum and other businesses. A visit to the Alvar Aalto Museum gives an insight into Aalto’s architecture, design and personal history, while also providing an exciting architectural experience. The permanent exhibition introduces Aalto’s entire career and personal history. The Museum Gallery hosts temporary architecture and design exhibitions. The café-restaurant is located in a building designed by Aalto himself and furnished with Aalto design. Enjoy a delicious lunch surrounded by Aalto’s iconic aesthetic. Architect Alvar Aalto in Jyväskylä – a prophet in his own land. Experience first-hand on our bus tour how Aalto’s works over the decades have shaped the city. Included sites: Seminaarinmäki, the Administrative and Cultural Centre and Muurame Church. Säynätsalo Town Hall is among the most significant works of Aalto’s entire career and one of the designs that launched him into the pantheon of modern architecture. Aalto designed the building as a complete work of art, with great attention given to even the smallest detail. Breakfast at the Säynätsalo Town Hall. Visit to Alvar Aalto’s Muuratsalo Experimental House: €80 + €12 / person. Reservation required. Muuratsalo Experimental House (1952–1954) is a studio and summer villa designed by Elissa and Alvar Aalto for their private use. Its design and layout are inspired by the atrium of antiquity. The Experimental House stands on the stunning cliffs overlooking Lake Päijänne, sheltered by trees. The house was a place where Aalto would experiment with materials, techniques and proportions. Island hopping: guided off-road biking excursion in Säynätsalo, from €35 / person. The tour includes some walking and stairs. Suitable for persons with normal physical condition. For further information: Visit Seinäjoki and Visit Jyväskylä. Guided walk at the Aalto Centre in Seinäjoki, duration 90 min. Admission and guided tour at the Defence Corps and Lotta Svärd Museum, duration 60–90 min. Guided walk at the Aalto Centre in Alajärvi, duration 60–90 min. Transportation is not included. The group should have their own charter bus for transfers between destinations during the trip. The price 685 € per person is based on a group of 10–16 members. The availability of services and prices are verified at the time of booking, and they depend on the time of travel. The programme is provisional and can be modified according to customers’ suggestions. All information is subject to change.